Whenever I get the chance I love sharing companies that I love and this is a fav for sure! 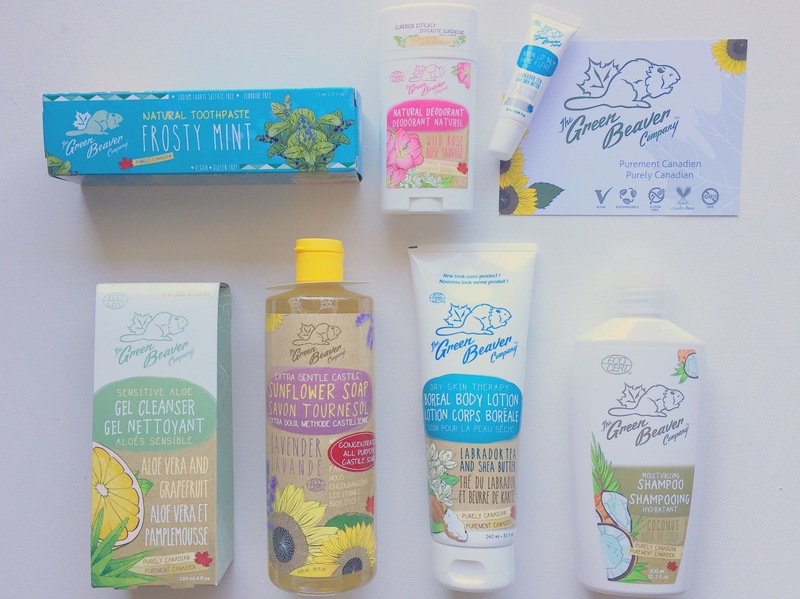 The Green Beaver is a local Canadian company that is soooo natural. Let’s see what they sent! They have a full line personal care and household products that are made with certified organic ingredients that are pure, natural and only the very best for you and your family. They are good for the environment, good for you, so why would you not trust them to be your #1 option, they are for sure mine! I think I love them so much because they are so openly sincere as a company, always thinking of Mother Nature. Toothpaste – This was the first product I got in a subscription box, the cilantro mint flavor which was soooo fun, plus I looooove cilantro! This one is the Frosty Mint which smells and tastes good, they start at only $5.99 as well and are all fluoride-free! Shampoo – Mmmm I love anything coconut, and this shampoo smells soooo good! Gel Cleanser – Loving this aloe vera and grapefruit sensitive face cleanser. I get ezema so need a natural product and this is a fabulous go-to. Sunflower Soap – Lovely Lavender extra gentle castille soap with so many uses. You can use it for body wash, hand soap, veggie wash, dish soap, kitchen scrub, and even laundry detergent! Just dilute it depending on the preferred use and that’s it! Body Lotion – lots of lovely smelling flavors to choose from. Natural Deodorant – Loving this wild rose deodorant stick, I have it at my office for after my hour lunch break walks and it works perfect. Goes on smooth and does the trick. They also have deodorant sprays which are fun! Lip Balm – mmmm this boreal one is good, but they have flavors like honey and green apple too! Yum! 1/3 of all personal care products contain one or more ingredients classified as possible human Carcinogens. The average adult uses 9 personal care products daily, exposing them to 126 chemicals every day. So go ahead and give them a try, your body will thank you and so will Mother Nature! Order here or find in store all over!! !